G. Van Velsor Wolf Jr. – Of Counsel – Salmon, Lewis & Weldon P.L.C. Van Wolf practices exclusively in environmental and natural resources law at the federal, state, and local levels. His work focuses on environmental due diligence in transactions, environmental liabilities and permits, analysis of lender and borrower liabilities, drafting of relevant provisions, environmental regulatory compliance and permitting, litigation involving environmental permits, and defense against environmental claims. In addition, Van is experienced in legislative matters, rule-making activities, and environmental litigation. 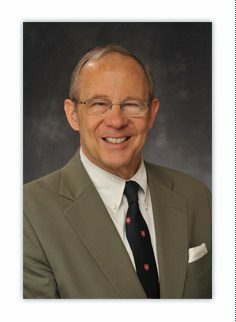 His work concentrates on federal and state Superfund laws; solid and hazardous waste; air quality; water quality, including municipal wastewater regulation; underground storage tanks; the National Environmental Policy Act/environmental impact statement process; and natural resources issues involving public lands. Agency regarding federal and state Superfund and federal Clean Water Act liabilities establishing remedial obligations and liability. Negotiating environmental liability provisions in transactions involving multi- state industrial operations. Supervising environmental due diligence for sellers and buyers of industrial operations, as well as their lenders. Developing and implementing strategy for defending against potential liability from discovery of contamination on newly acquired property. Lead environmental counsel for compliance and liability issues for major government projects and governmental entities. Lead counsel in administrative and judicial litigation regarding groundwater and air quality permits. Analyzing, implementing, and litigating National Environmental Policy Act compliance. Supervising internal environmental compliance audits. Drafting environmental liability policies for major financial institutions, including borrower indemnities. Key negotiator on state Superfund amendments and underground storage tank liability. Defending against regulatory enforcement and compliance actions in Superfund, underground storage tanks, hazardous waste, and water quality. In addition to Arizona, has been involved in projects in California, Utah, Texas, New Mexico, Colorado, Florida, and Georgia. Has written and spoken extensively before local, national, and international groups on environmental legal issues.